On Friday, the Bank of Japan shocked investors by announcing an increase in stimulus in response to meager economic and inflation growth. The Bank of Japan spurred a monetary surprise by disclosing a fresh expansion in its stimulus spending, thus clearly demonstrating frustration with inflation growth and economic pace being hampered by the sales tax hike announced in April this year. Haruhiko Kuroda, the bank’s governor, presented the BOJ’s decision to continue purchasing assets as means to achieve the 2% consumer price inflation target next year. Economists doubted the measure would yield effectiveness, on the background of meager demand and slumping consumer confidence. It is estimated that the new policy will be equal to a quantitative easing of around $60 billion monthly. The decision came at a moment when the government showed readiness to boost spending in an effort to support the ailing economy. Furthermore, the government’s pension fund, which is the largest globally, was to expand the buying of both domestic and foreign stocks. According to Kuroda, the QE was not related to significant portfolio changes by the Pension Investment Fund publicized on Friday. He said the two major decisions would result in the central bank buying more government bonds, thus offseting the enlarged sales of those bonds by the fund. The new BOJ move contrasted the US Fed’s decision announced on Wednesday to end its quantitative easing, as the country’s economy had recovered sufficiently for American policy makers. The Bank of Japan’s board voted 5-4 in favor of speeding up the purchases of Japanese government bonds, to keep the increase rate of its holdings at 80 trillion yen (or $723.4 billion), amounting to a 30 trillion yen hike. Another key decision of the central bank concerned the tripling of exchange-traded funds and real-estate investment trusts purchases, as well as longer-dated debt. The result was immediate: stock markets across the globe soared and the yen faced a severe selloff. Kuroda pointed factors like slumping oil prices and sluggish global growth, as well as scant household spending following the tax hike, as the deterrents to price growth. The Friday decision contrasted Kuroda’s previous optimism about the monetary stimulus success in leading to economic recovery, after a 15-year period of declining prices. However, the Japanese economy continued to grapple despite BOJ asset purchasing and earlier government spending. The previous attempt of the central bank to deal with deflation by quantitative easing occurred in the five years to 2006 and failed to succeed. According to Japan’s Economy Minister, Akira Amari, the Bank of Japan move was timely, as a way to tame the potential effects of the Japanese PM Abe’s impending decision on another sales tax hike next October. 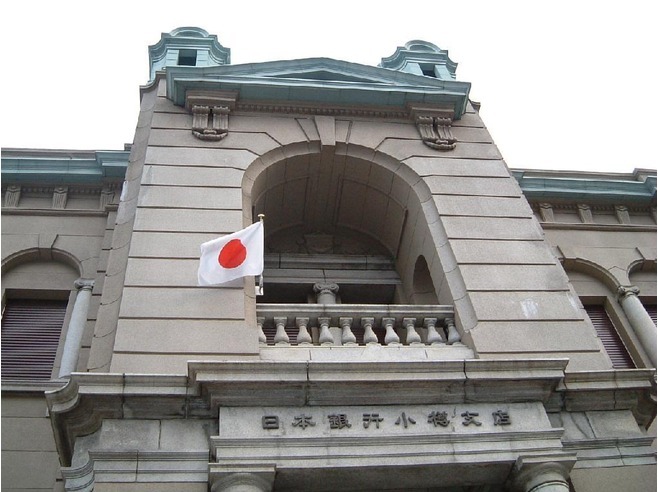 The BOJ semiannual report came out with growth forecast half slashed to 0.5 percent, regarding the fiscal year until March, and shrunk CPI forecast for 2014 and 2015. After the BOJ announcement, the benchmark Nikkei stock index rose to a 7-year high, closing up with 4.8 percent. The USD/JPY, at 109.34 prior to the announcement, rose to 110.91, the highest since 2008 after the new monetary measures were disclosed. The Pension Investment Fund, with $1.2-trillion in control, is pressed by Prime Minister Abe to transfer funds to higher-yielding investments, in support for the country’s rapidly ageing population. In December, Abe is to decide on the sales tax hike for next year, from 8 to 10 percent. Economists insist that he should delay the fiscal tightening and leave the struggling economy some breathing space.